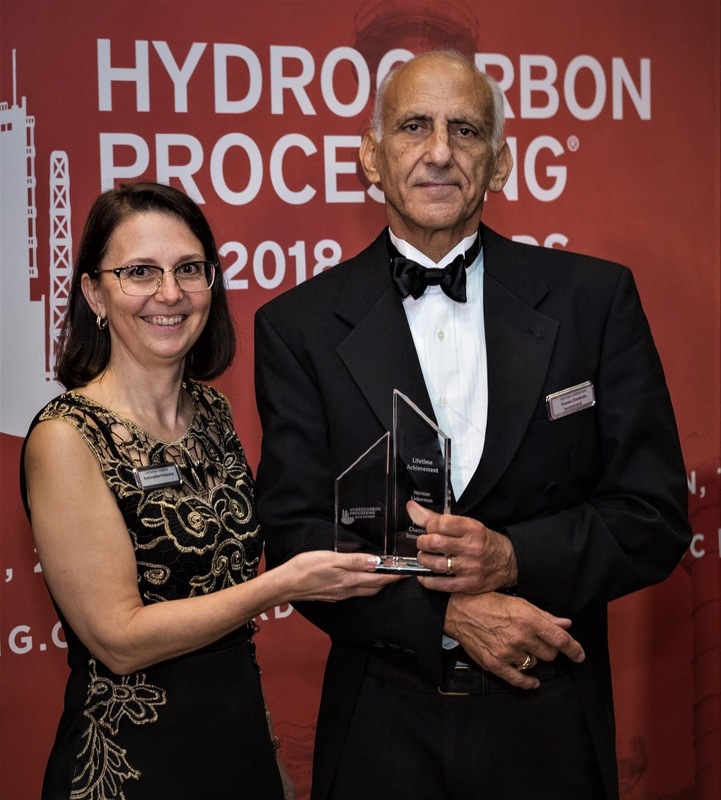 August 30, 2018, HOUSTON-Nearly 150 of the midstream and downstream oil and gas industry's brightest minds gathered Thursday to find out, and celebrate, the winners of the 2018 HP Awards. The awards ceremony seeks to recognize and honor the midstream and downstream processing industry's top innovations and innovators. Honorees took home awards in 12 categories-10 encompassing the latest technological advances in the hydrocarbon processing industry and two people awards - fr om the gala event in Houston, Texas. These innovations are enabling refinery, petrochemical and gas processing/LNG operators to optimize their operations. 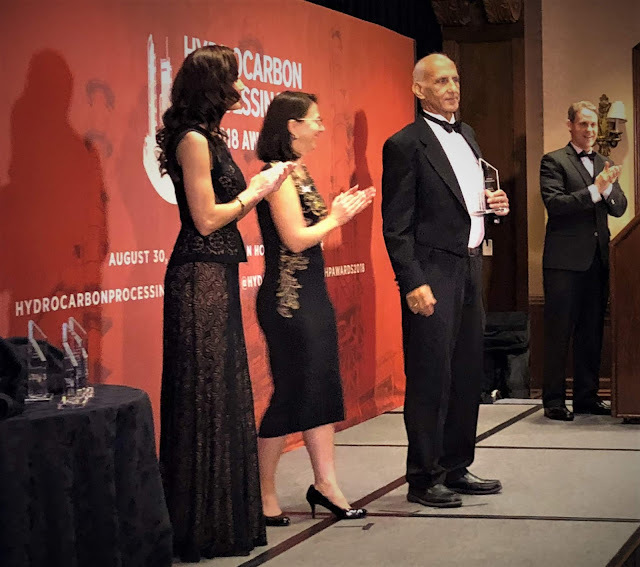 In this year's 'Lifetime Achievement' category, Norman Lieberman was awarded for his lifetime work in the downstream processing industry. Mr. Lieberman began his career in 1965 with Amoco Oil, where he designed the first complex fractionator using a computer simulation. He has authored more than 100 articles, as well as 11 technical engineering books that are focused on solving processing problems. His continuing education courses on troubleshooting process operations have been attended by more than 18,000 engineers and technicians since 1983. Mr. Lieberman specializes in the retrofit design of crude units, FCU fractionators, delayed cokers, sulfuric acid and alkylation plants, and sulfur recovery units.